Out of all my Homebrew Wednesday posts (episodes) this one contains a bit of all of the ways that I express my passion for good beer the best. I begin by chatting about cooking with beer while drinking one of my favorite dark beers to cook with, Great Lakes Brewing Company’s Edmund Fitzgerald Porter. 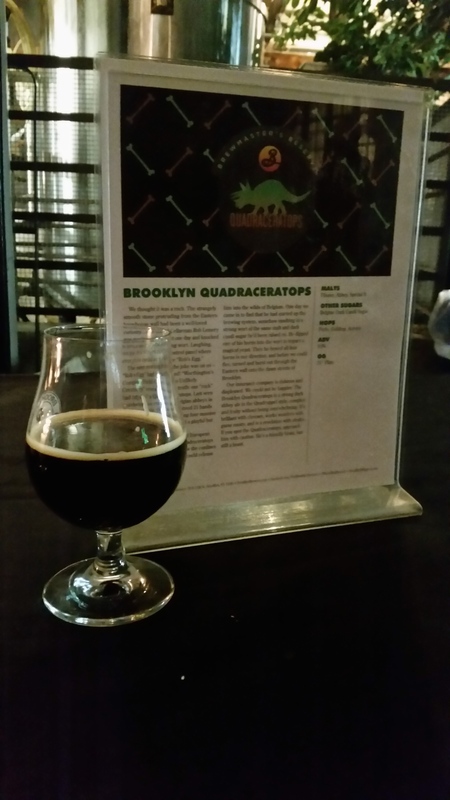 Then I talk about my recent visit to Brooklyn Brewery for the release of their newest Brewmaster’s Reserve series beer, Quadraceratops, an amazing 9.9% abv belgian quadrupel (review coming soon). Afterwards I round out this episodes introductory clip with my announcement of The Brewed Palate’s Relax Don’t Worry Have a Home Brew contest (details below). For the second half of this week’s HBW I show some clips of me transferring my english barleywine to its secondary fermenter and tasting the gravity sample, and present a show and tell of sorts with my winter saison. As homebrewers we tend to get anxious and worry about the nitty gritty details of the brewing process and all too often have to be told to relax, not worry, and have a homebrew. Therefore, for this contest I’d like you to email me (craftbrewadvocate@gmail.com) your RDWHAHB story. It could one instance where you got really worried about a step in the brewing process and then relaxed with a homebrew only to find out that you didn’t have to get so anxious and worried OR A general description of what you usually overanalyze and get worried about only to be told by your fellow homebrewers to relax and have a homebrew. Feel free to include details about how getting anxious or staying relaxed has affected your brewing over time and any other details related your being influenced by Charlie Papazian and or John Palmer. Over the next month or so I’ll read over the contest entries and pick 2 winners. 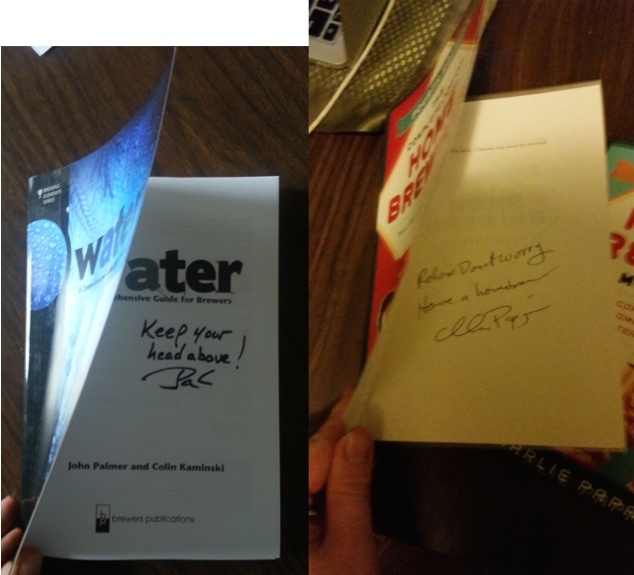 1st Place : Autographed copies of The Complete Joy of Homebrewing, Fourth Edition, The Home Brewer’s Companion, Second Edition, and Water (John Palmer). Thank you to Bitter & Esters for sponsoring this contest! This entry was posted in Craft Beer Advocacy, Homebrewing and tagged Bitter & Esters, Cooking with beer, Edmund Fitzgerald Porter, John Palmer, RDWHAHB, Relax Don't Worry Have a Home Brew, The Complete Joy of Homebrewing, The Home Brewer's Companion. Bookmark the permalink.